Netflix has added more smartphones to the list of those capable of supporting HDR10 playback. The newest phones include the LG G7, and the Sony Xperia XZ2 Premium and Xperia XZ3. These phones have the high-contrast displays needed to boost colors and improve the visible range between bright and dark regions of each frame. HDR10 playback is already available to a number of flagship-grade devices, including the LG G7 One, V30, and V35; the Samsung Galaxy Note9, Note8, and S9; the Sony Xperia XZ Premium, XZ1, and XZ2; and the Huawei Mate 10 Pro, P20, and Honor 10. In order to view HDR10 content on mobile devices, people need to subscribe to the premium Netflix plan. Samsung today made its S Pen SDK available to app developers. The company announced the SDK earlier this year. Developers will be able to use the tools in the SDK to create custom apps or actions that center on the Galaxy Note9's S Pen stylus. Critically, Samsung added Bluetooth to the S Pen for the Note9, which opens up a wide range of possibilities for developers. For example, the S Pen button can be set to respond to a single or double press to interact with an app's features. Further, the S Pen Remote allows users to control their Note9 from afar. Adding remote triggering to camera apps and similar can improve the overall experience of using apps with the Note9 and S Pen. The SDK is free for developers to download and use. LifeProof has designed a fresh case specifically for the Samsung Galaxy Note9. 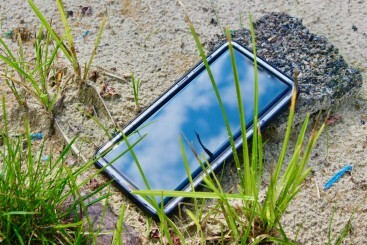 The LifeProof Next claims to be drop-, dirt-, and snowproof. Considering the vertigo-inducing cost of the Galaxy Note9, it’s worth protecting in a case. Samsung has made several new AR Emoji characters available to the Galaxy S9, S9+, and Note9. 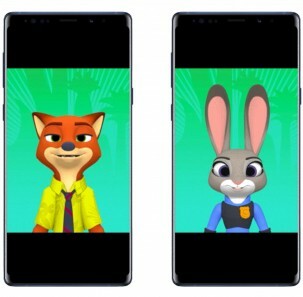 The new animated emoji come from Disney's movie Zootopia and include Judy Hopps, Nick Wilde, and Flash. These characters join others such as Disney classics Mickey and Minnie, as well as several from Frozen and The Incredibles. Samsung's AR Emoji allow people to animate avatars with their own facial expressions to create unique messages. The new characters are available from the camera app and the Galaxy Apps Store. The Catalyst Impact Protection for the Samsung Galaxy Note9 is a slim case that keeps the phone's gorgeous, curved glass panels from shattering. 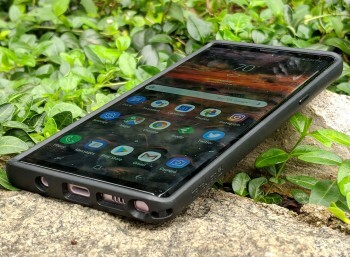 Thanks to its minimal footprint, the case offers protection without increasing the Note9's size overmuch. Let's get into our full review. Owners of Samsung Galaxy phones will soon have access to a more powerful messaging app. Samsung says it is working more closely with Google to ensure that its own Samsung Messages app will work seamlessly with Google's Android Messages app. Samsung is integrating the Google- and GSMA-backed RCS standard within its own app. RCS offers features such as read receipts, group chats, typing indicators, and high-resolution photo/video sharing. To-date, these RCS-based features were only available to Google's Android Messages, meaning both the sender and recipient needed to use Android Messages. Eventually, these features will come to the Samsung Messages app and work between the two. The RCS features are dependent on network support and will only be available to customers on carriers that have deployed RCS. In the U.S., that includes Sprint and T-Mobile. Samsung is starting off slowly. It will first bring these features to the 2017-era Galaxy S8 and S8+, followed by the S8 Active, S9, S9+, Note8, Note9, and select A and J series running Android 9.0 or later. Eventually, new Galaxy phones will natively support RCS when they first go on sale. Samsung did not provide a timeline for deploying its RCS-based Samsung Messages App. Otterbox has refreshed its Symmetry, Commuter, and Defender cases for Samsung's Galaxy Note9. If you need the ultimate in protection against the pitfalls of the modern world, these cases have you covered and then some. Here is Phone Scoop's review. Samsung Pay has launched mobile payments in South Africa, bringing the total number of markets served to 24 across six continents. Samsung has partnered with some 2,000 banking and financial institutions to serve as many people as possible. Samsung Pay supports online purchases in 15 markets, transit cards in five markets, loyalty and membership cards in 20 markets, ATM transactions in five markets, and Samsung Rewards in 10 markets. Samsung Pay has been integrated into Samsung's Bixby voice assistant, allowing people to make purchases at some merchants with a voice request. Samsung Pay relies on both NFC and MST (magnetic stripe) technology, which makes it compatible with more payments terminals than an NFC-only service such as Apple Pay. Samsung says Samsung Pay has surpassed 1.3 billion transactions. The tap-and-go functionality is available to the new Samsung Galaxy Note9 and Galaxy Watch, as well as many of Samsung's older high-end phones. Samsung is pushing a small update to the Galaxy Note9 that introduces new options in the camera application. Before the update, the Note9 was limited to taking 0.2 seconds of 960fps slow-motion footage in manual mode. After the update, owners can alternately elect to record 0.4 seconds of 480fps slow-motion. The update also installs the August security patch from Google. The Note9 goes on sale August 24, so this update will likely be waiting for most people when they first turn on the device. All the major carriers in the U.S. plan to sell the Samsung Galaxy Note9 when it becomes available August 24. Each has a different offer on hand to entice consumers to buy the phone. AT&T: AT&T is asking customers to pay $33.34 per month for 30 months for the $999.99 128 GB version of the Note9. For a limited time, customers who buy the Note9 can get a second Note9 or Galaxy S9/S9+ for free when the phones are financed on an installment plan. 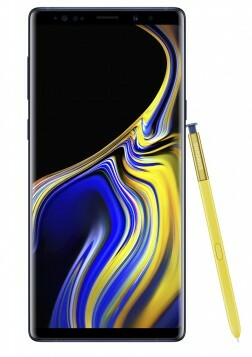 Sprint: Sprint customers can get the Note9 for half off for a limited time, which puts monthly payments on the Sprint Flex Lease at $20.83. Customers who opt for the Galaxy Forever plan can upgrade to a new phone after completing 12 monthly payments. Sprint's deal includes the AKG headphones and/or Fortnite V-bucks. T-Mobile: The Uncarrier is asking customers to make a downpayment of $280 for the 128 GB Note9 and then pay $30 per month for 24 months. The 512 GB Note9 will require a $530 down payment followed by 24 months of payment at $30 each. For a limited time, T-Mobile is offering 50% off the price with a qualifying Samsung trade-in. The price will be reduced via the monthly payments. 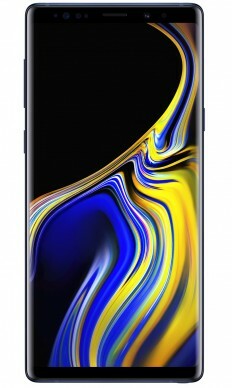 U.S. Cellular: The carrier is offering $150 in bill credits to those who buy the Galaxy Note9 with a new line of service. Verizon Wireless: Big Red is asking for $41.66 per month for 24 months for the 128 GB model and $52.08 per month for 24 months for the 512 GB model. For a limited time, customers who initiate a new line of service and buy one Note9 on a monthly plan can score a free 128 GB Note9, or Galaxy S9/S9+. Verizon's deal includes the AKG headphones and/or Fortnite V-bucks. Samsung's new flagship is here, and it's an enormous piece of hardware. The Galaxy Note9 showcases Samsung's best in terms of technology and design. With a bigger screen, bigger battery, and fancy S Pen features, the Note9 is vying to be the productivity and creativity champ. Here are our first impressions. People who preorder the Samsung Galaxy Note9 from Samsung directly will be able to score a pair of free headphones. The noise-cancelling Bluetooth headphones come from AKG and have a retail value of $299. Samsung didn’t indicate how long the headphon offer will be available. 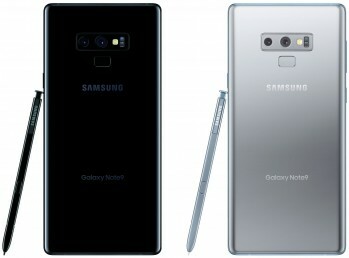 Preorders for the Galaxy Note9 stat August 10 and the phone goes on sale August 24. Samsung today announced a new wireless charging accessory that can charge two devices at the same time. 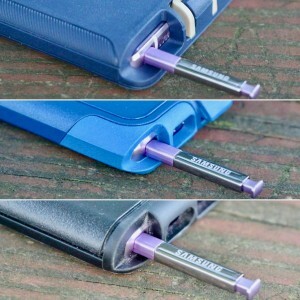 It incorporates two separate charging pads, one upright and one laying down, so people can charge their Galaxy phone, such as the new Note9, and another device. The Galaxy Duo comes in black or white. It goes on sale August 10. Pricing wasn’t immediately announced. 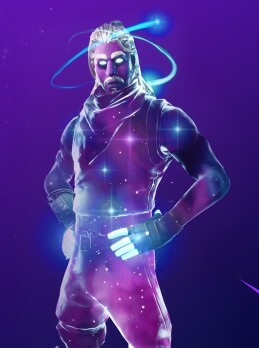 Samsung said a handful of its Galaxy phones will the the first to be able to download and play the popular game Fortnite. Samsung said the game will be made available to the new Galaxy Note9 as well as all Galaxy S and Note phones from the 2016-era S7 and up. This includes the Galaxy S7, S7 Edge, S8, S8+, S9, S9+, as well as the Tab S3 and Tab S4. The game will not be distributed by the Google Play Store directly; instead, the game will be available via the Samsung Game Launcher app. People who preorder the Galaxy Note9 will be able to score 15,000 Fortnite V-Bucks for in-game purchases. Those not interested in Fortnite can opt for a free pair of AKG Bluetooth headphones instead. 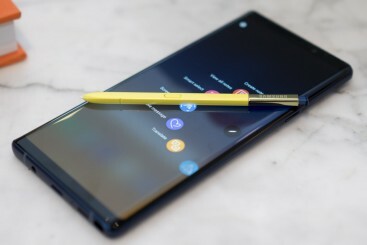 Samsung today announced the Galaxy Note9, its premiere flagship phone for the year. The Note series has always featured Samsung's newest technology, a big screen, and a stylus. This year, Samsung iterated on the design of the Note8 while introducing new camera and stylus capabilities. The Note9 is a nearly all-glass device with curved panels on the front and back. A thin metal frame supports the chassis. The Super AMOLED screen has been stretched to 6.4 inches at quad HD+ resolution (2,960 x 1,440). The U.S. variant of the phone is powered by the Qualcomm Snapdragon 845 processor. Samsung says it has boosted the performance of the 845's GPU with a new algorithm, a water carbon coolant, and a larger heat sink to get every bit of power for games. The phone will come with 6 GB of RAM and 128 GB of storage, or 8 GB of RAM and 512 GB of storage with support for an additional 512 GB via the microSD slot. The phone adopts the camera setup from the Galaxy S9+. The main, wide-angle sensor is 12 megapixels and includes a variable aperture that can switch between f/1.5 and f/2.4. The secondary telephoto lens has a 12-megapixel sensor at f/2.4. Both include OIS. Samsung is introducing a dash of artificial intelligence thanks to the Snapdragon 845. The camera can recognize 20 different scenes and adjust the settings automatically for the best shot (similar to the Huawei P20 Pro and LG V35s). It also has flaw detection and can manage things such as blinking, lens smudging, and image blur. The front camera has an 8-megapixel camera with autofocus at f/1.7 for better low-light selfies. Samsung has improved the S Pen. It now includes Bluetooth Low Energy and can act as a remote control for select apps, such as the camera to take a picture or PowerPoint to advance a presentation. The phone stores a 4,000mAh battery that Samsung says will last all day. It runs Android 8 Oreo. The battery supports rapid charging and rapid wireless charging. The Note9 will include a Cat 18 LTE modem with 4x4 MIMO, carrier aggregation, and LAA for theoretical download speeds up to 1.2 Gbps. Other radios include dual-band WiFi, Bluetooth 5.0, NFC, and GPS. The phone is rated IP68 for protection against water, it includes a 3.5mm headphone jack, and stereo speakers tuned by AKG. Samsung repositioned the fingerprint reader on the rear surface so it is easier to reach. 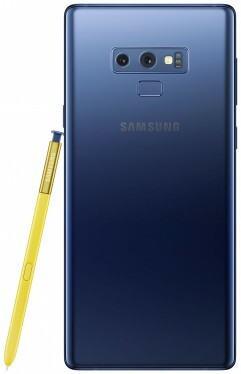 The Note9 will be sold in blue with a yellow S Pen and lavender with a purple S Pen. Preorders start August 10 and the device will go on sale August 24. The 128 GB model costs $999.99 and the 512 GB model costs $1,249.99.